Evermore have they walked the world of Iwari. Evermore have they embodied its spirit and shaped its lands. They are stewards of the earth. Five Titans that make the cosmos breathe. On Iwari, there are no teeming masses, no continent-wide civilizations. Humanity is in its infancy living in scattered tribes in forest, tundra and desert. Now we have left our ancestral homelands to explore the vast uncharted regions, encountering other fellow tribes and exchanging knowledge, culture and wisdom. In our journey, we all live in harmony with the Titans, and though distant to us, they decide our fate. And yet we don’t know if they created us, or we created them. Iwari reimagines the award-winning game Web of Power by Michael Schacht by adding new layers of strategy, tribes player boards, different maps with their own set of rules, modules that can be added to the game and a unique cooperative and solo modes. Subscribe to know when Iwari goes live on Kickstarter and get a limited edition metal score tracker and rules to use it as a small expansion if you back the game. As the word in Yoruba suggests, Iwari is a game of discovery and diversity, where humanity is protagonist in all its beauty. 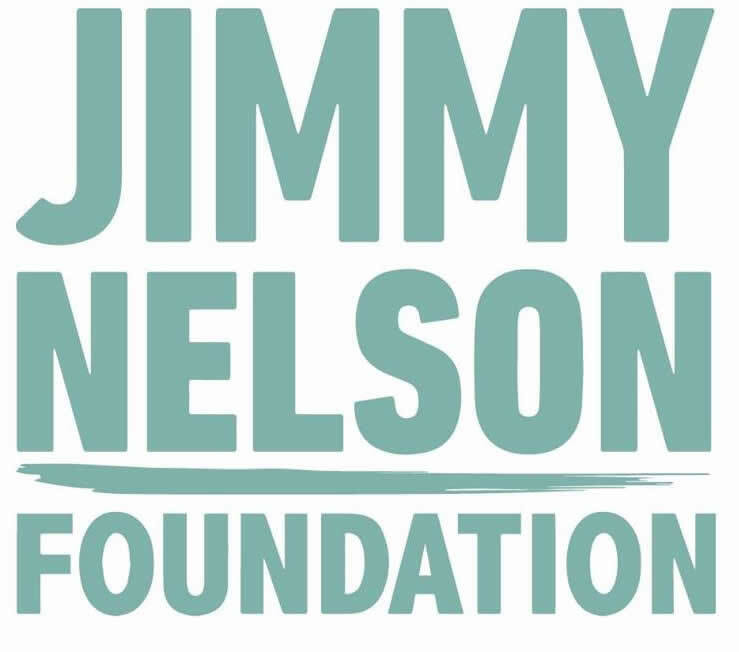 To join the cause for the preservation of cultural identity, we will make a donation to the Jimmy Nelson Foundation for every subscription we receive to support JNF’s photography expeditions that promote positive visibility and appreciation for indigenous cultures. Let’s show the world the great value that cultural heritage holds. For our press release, click here. Explore Iwari with us by returning each week and win a copy of the game! Each entry will give you an additional chance to be one of the three winners of a deluxe copy of Iwari. Iwari is all about exploring and expanding your settlements. Players will always have a set of three cards each that they will be able to select during the setup and between turns. You will be able to pick your cards from the display or randomly from the deck. The display information is available for everybody and cards are refilled only after a player is done with drafting up to the hand size of three. Each player will have 20 tents and 8 totems; to place a piece on the board, players need to simply use cards of the same color of the territory they want to explore. One yellow card will be used to place either a tent or a totem in a yellow territory on the board. Players can also use two cards of the same color as a joker to place a single piece in a territory of a different color. In this game the placement rules are very simple. A player may use up to 3 cards to place up to 2 pieces into 1 single territory. During our Kickstarter campaign, we will be unlocking different maps with new and interesting ways to play the game. Here is a small reveal of what is included in the base game and the first map we will unlock as a stretch goal. Players represent different tribes traveling around far lands and expanding their settlements. Players are able to place a single tent for each card played in the territory based on the color of the card. It is very important to keep in mind that only a maximum of 2 pieces can be placed in a single territory per turn. There is just one limitation. If you open up an unexplored territory by placing a tent in an area that doesn’t have any other tents in it, you automatically end your turn. Only a single tent can be placed while opening up unexplored territories. Tents will score twice during the game, first scoring will happen immediately when the draw deck is depleted. The second and final scoring will be made at the end of the game. The players with the most tents in a territory score 1 point for each tent in the territory, regardless of color. The players with the second most tents in a territory score 1 point for each tent of the player with the most tents. The players with the third most tents will score based on the tents of the second most and this trend continues for the fourth and fifth if necessary. In this example, the red tribe has majority of tents and will get a total of 6 points (1 per tent in the territory), while blue, which is the second most, will get a total of 3 points (1 point per tent of the player with the most). Finally, green will get 2 points (1 point per tent of the player with the second most). At the end of the game, players will also score points for settlements, which are groups of 4 or more sequential tents along the road, and will score 1 point per tent. Settlements may also cross territories. While exploring the vast lands of Iwari, the tribes will build totems as a bonding element with mother nature. As with tents, players are able to place a single totem for each card played in the territory based on the color of the card. It is very important to keep in mind that only a maximum of 2 pieces can be placed in a single territory per turn. There is a limit of totems that can be placed in a territory that is based on how many tents the tribe with the majority of them has in that territory. In this example, the blue tribe has the majority of tents with a total of 3, that means that a maximum of 3 totems can be placed in that territory. On a future turn if blue places another tent in the territory, the limit for the amount of totems that can be placed in that territory will increase to 4, allowing the blue player to strategically place a totem during the same turn; the turn will end immediately after since the blue player placed two pieces. On the map of Iwari there are several connections between territories marked from 1 to 19. At the end of the game, all the connections starting from 1 will score. To score with the totems, players will need to have the majority of totems, even shared, in each of the connected territories. Having the majority in just one of the two connected territories won’t grant points to the players. When the player with the majority of totems is defined they will receive 1 point for each totem, in the two connected territories, even if these are from other players. In this example we are scoring connection #9. On the blue territory both yellow and blue have the majority, while on the red territory, only yellow has the majority. Since yellow holds majority in both territories, the player will score 1 point per totem that belongs to the connection regardless of color, which In this case equals to 5 points. Blue won’t score points because he just has the majority in one of the two connected territories. The uncharted lands of Iwari are also quite ancient. With time, everything fades. The Solo Mode for Iwari introduces the void, which represents the passing of time. The new cards, totems and ruins bring an interesting new mechanic where a tribe fights for survival by expanding and growing through the vast lands of Iwari to be forever remembered. The numbers of connections will be used by the void to walk around and place totems and ruins. During setup, the totem score marker will be placed randomly in a connection and will act as the void. As in the multiplayer game, both the void and the tribe will be playing for the majority of tents in each territory with the only exception being the connections. In the Solo mode, the majority of totems is counted per each single territory. To start the game draw your hand like in the multiplayer game, refill the display after drawing then add the 12 void cards to the deck and shuffle. On your turn, after performing an action, you must play a turn as the void before drawing new cards, this is done by using at least one of your remaining cards in hand after your own turn. If you don’t have any remaining cards to play as the void, the turn doesn’t take place. 1. When a void card is revealed in the display; if more than one void card is revealed, perform the expansion as multiple times as there were void cards revealed. 2. When a void card is drawn it must be played during the void’s turn by placing them on top of the display. Locate the void and place a single piece in each of the connected territories by giving priority to totems. If there is no space for a totem, place a tent in a tent space that is the closest to any other ruin. Then, take the totem score marker and move it into the next connection. That will be the next location for the void to expand. Once a territory is completely filled with tents, proceed to immediately score who controls the territory. The player that holds the majority of tents will increase its total number of totems in the territory by one before scoring. Count who has the majority of totems in that single territory. The player that holds the majority will take control of the territory. In the case of any tie, the void wins. If four void cards are shown in the display or in the top row of the display, the void will perform an oblivion action. Perform an expansion and then, before moving the void, immediately close and score the two connected territories separately following the solo mode scoring rules. Take the four void cards that activated the oblivion action, remove one and reshuffle the other three in the draw deck. Either the void or the player doesn’t have any possible tents to place. At the end of the game, the player wins only if there are no more than two closed territories controlled by the void. Be sure to visit our Kickstarter campaign on March 5th for more information about the Solo Mode and many more ways to play the game. See you soon! Discover Iwari and win the game! Visually stunning as always. 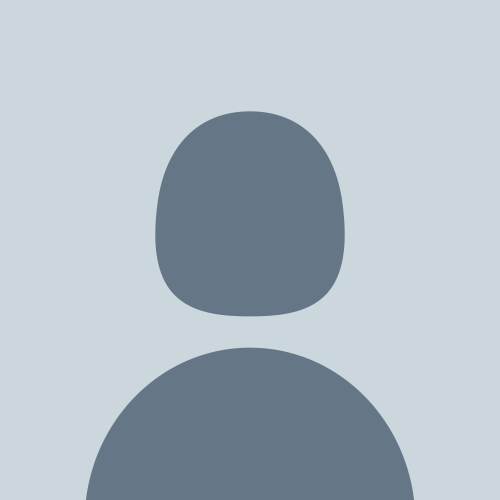 Can’t wait to discover more! Amazing as always! Cant wait!! Very interesting, look forward to more details. Very excited. Good looking components. Looking forward to see what makes this game different from other games. Stunningly beautiful artwork. Am really excited for this one. Another wonderful game as usually! I always love the look of your games. This one is clearly no exception. Nice art and theme. Looking forward to the campaign! I am definitely interested in this one. That board looks amazing! It’s not possible, just when I decided to take. a break from backing new games on kickstarter, here you guys come up with an. impossible not to pledge new project… Shut up and take the small amount of money that’s left after backing all your great precedent projects. Looks great, as usual. Day one backer right here! nice art .. no sure about mechanism … is this area control ? So beautiful illustrations. With anger to have a peek to the rules. Always games with themes i think i can fully immerse into. Can’t wait! Game looks stunning! Can’t wait to get my hands on it! Beautiful artwork. Looking forward to learning more about this game. This looks awesome! Can’t wait to see the Kickstarter! Another beautiful game. Looking forward to uncovering the mechanics. The box and components look great and I love worker placement games. Can’t wait to see how this turns out! I like the idea of stacking up the totem metal tracker. If its sections can rotate that would be awesome! Your box art always just makes me want to buy the game before I even know anything about it! Once again you guys have done an amazing job of making a stunning looking game. Can’t wait to watch and see how it’s played. This looks amazing! Cant wait. Your games always look stunning, this is no exception. Can’t wait for another wonderful game. Looks very intriuging. Can’t wait to see how this progresses. Phenomenal look! Props to the artist! Love all the oriental design game by you guys previously such as tang garden and overseer. Looking forward to see more of the conceptual design of this game. Looks like something I can get behind. Looks awesome, can’t wait to see more about it! The aesthetics of this game are beautiful! I can’t wait to learn more about game play!